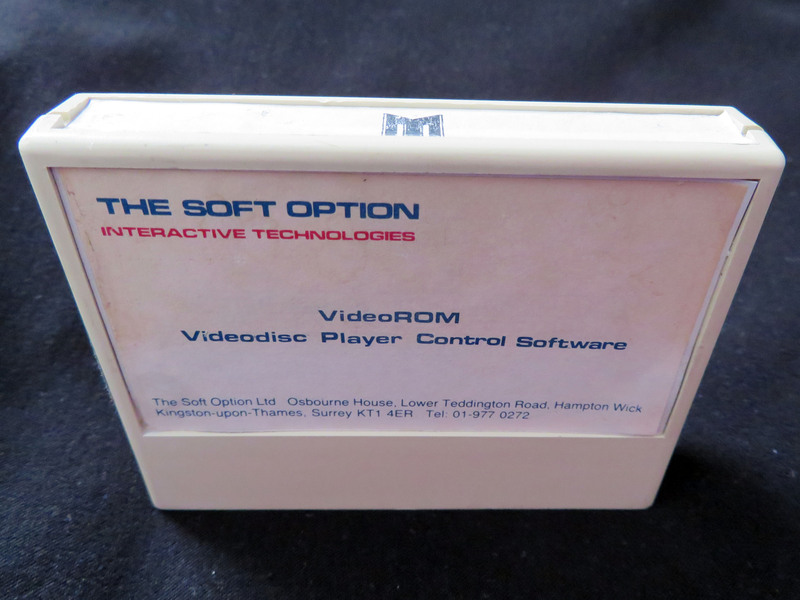 The Soft Option was a third-party company that made interactive video solutions based around the Domesday system. Some of their sales literature is available from the Domesday Documents section of this site. 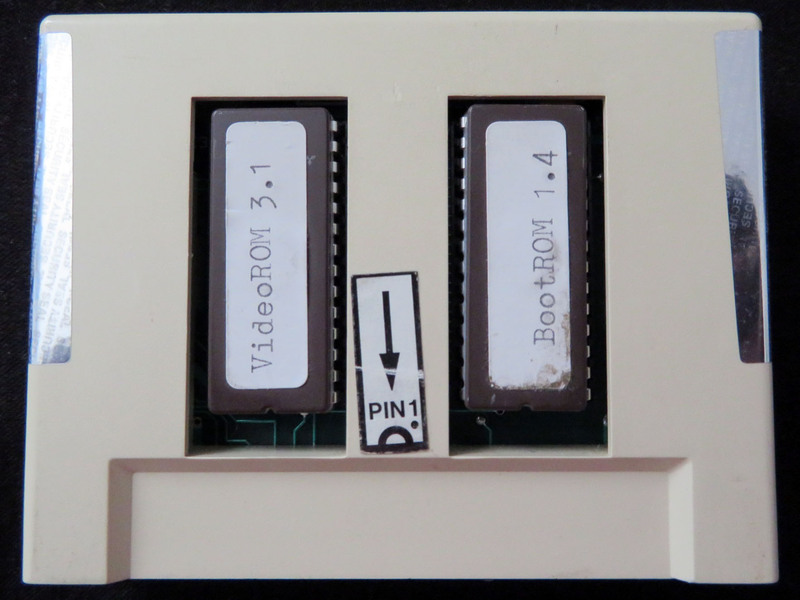 This cartridge is part of a system called INTAVIEW and there were two versions of the INTAVIEW ‘system’ supported by the cartridge. The first version was an AIV Enhancement kit (cartridge, floppy software and a cable (most likely serial)) that allowed Acornsoft Microtext (a programming language for interactive systems) to work with a stock Domesday AIV. The second was a ‘conversion kit’ that included a genlock/video mix board to work with other LVDPs that supported serial control (Philips 400 series, Philips 800 series and the Sony LDP1500P). 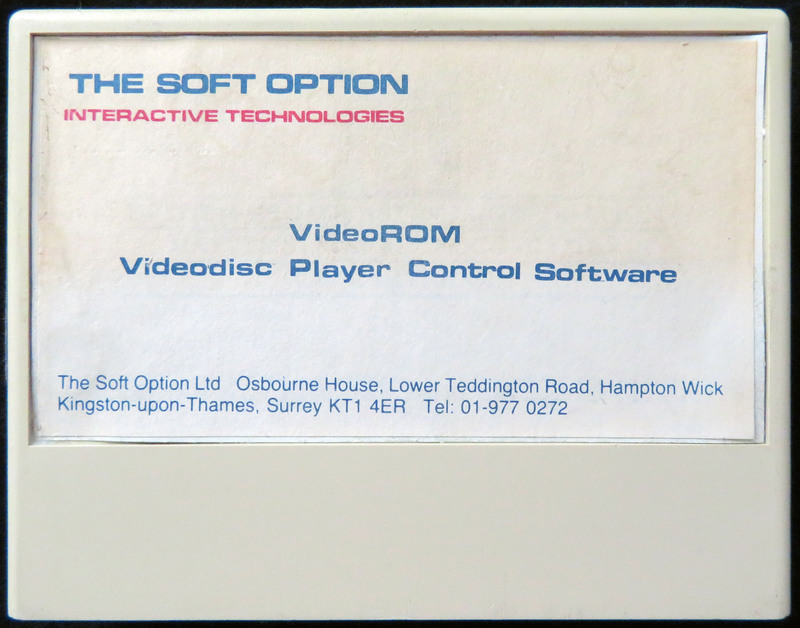 It was originally developed for the British Telecom Management Training College (before the release of Domesday in 1985) and later adopted by Interactive Video in Schools (IVIS) since you could ‘add it on’ to an existing AIV system (making it a cost effective solution for schools who already had AIV systems). The cartridge supplies the LaserDisc player control commands to Microtext and Microtext is used to author the interactive video. The ROM could also be used from BBC BASIC. Note: When these ROM images initialise they unplug ROM slot 8 in the Master. No further documentation exists for this system (please get in touch if you have anything available through the contact us page).